Cosmoprof North America is the leading B2B beauty trade show held annually at Mandalay Bay Convention Center in Las Vegas. Last year there were over 33,000 attendees engaged with a record-breaking 1,154 exhibitors from 38 countries! The three-day event showcases unique brand launches, product innovations, new channels for distribution, packaging, and manufacturing and is a place for industry professionals and retailers to connect. While I am not able to make it to their 2017 event in LV (sad face), I was lucky enough to attend their NYC influencer event, showcase just a handful of new product launches that can be expected this month in Vegas. If the below new products are any indication of how exciting this year’s Cosmoprof North America will be, everyone is in store for a treat! Manna Kadar Cosmetics Lip Locked Stain (ABOVE) – The latest innovation in lip stains, Manna Kada’s are a lip gloss, primer and stain all in one. With a smooth application the Vitamin A, E & Berry Extract-infused stain keeps pigments locked in all day long. 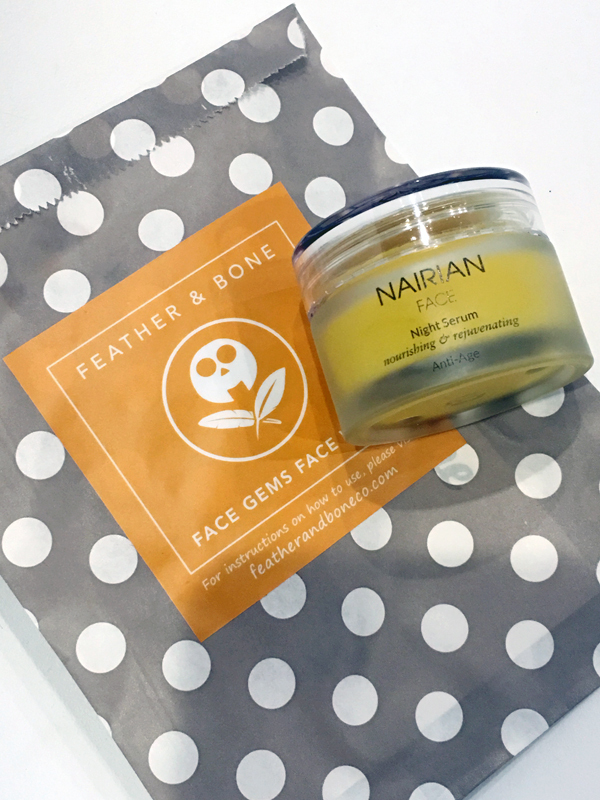 Feather & Bone Face Gems – Pop, drop, wash & rinse away your day with Feather & Bone’s Face Gems. For a fresh wash every time, each Face Gem is individually packages and offers the benefit of no spillage, making it the perfect travel companion product. Nairian Night Serum – Enhance your beauty sleep with this rejuvenating Night Serum, made with Coconut oil, to strengthen and restore dry and flaking skin, Apricot Kernel oil, for its Vitamin A, C, and E which help to moisturize and nourish dry, maturing skin, and just a dash of Rosehip and Sea Buckthorn oils, for their extraordinary anti-aging properties. Balanced Guru Scalp Treatment – Whether you want to detox, soothe or decude the oiliness of your scalp, Balanced Guru oils help your roots get back on track without weighing your hair down. It isn’t enough to just wash and dry your hair anymore. 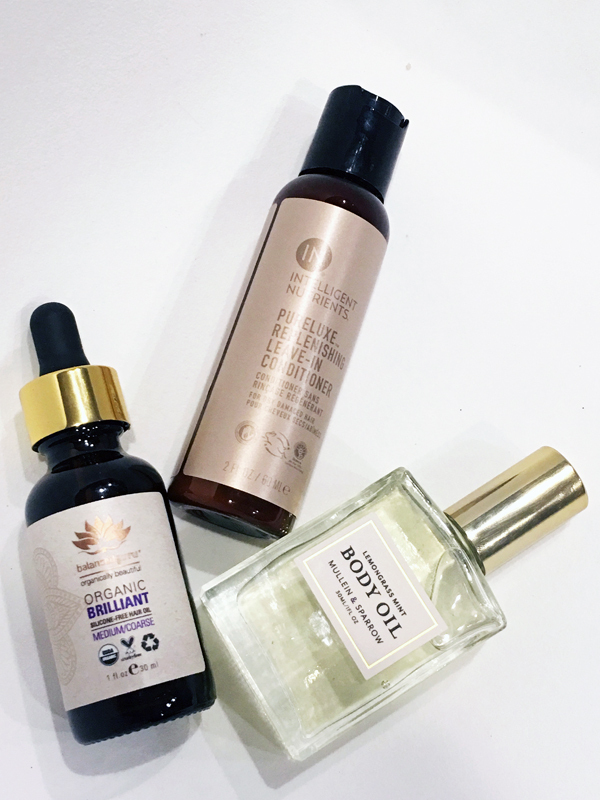 Think of these oils are the daily vitamins your hair needs to grow and stay strong. Intelligent Nutrients Pureluxe Replenishing Leave-in Conditioner – For dry damaged hair, Pureluxe leave-in conditioner uses an intense plant protein trifecta of concentrated baobab, soy and quinoa to fortify, moisturize and protect, all while improving manageability without weighing hair down, dulling or leaving a residue. Mullein & Sparrow Lemongrass Mint Body Oil – While I’m not typically a body oil fan, Mullein & Sparrow’s is extremely luxe and quickly melts into the skin without leaving a greasy residue or harsh smell. LVX Nail Polish – As someone who is guilt of using harsh nail polishes and removers, it is a relief to find a brand that offers 7 toxin-free & vegan polish is such an array of shades. The brand boasts a roster of designer collabs including Mara Hoffman, Tadashi Shoji, Tracy Reese, Rodebjer and many more, which leaves me wondering how it has gone under my radar for so long! The lacquers are smooth and creamy, ultra pigmented, super glossy and longwearing, formulated without the use of Formaldehyde, Formaldehyde Resin, DBP, Toluene, Camphor, Xylene & Parabens. 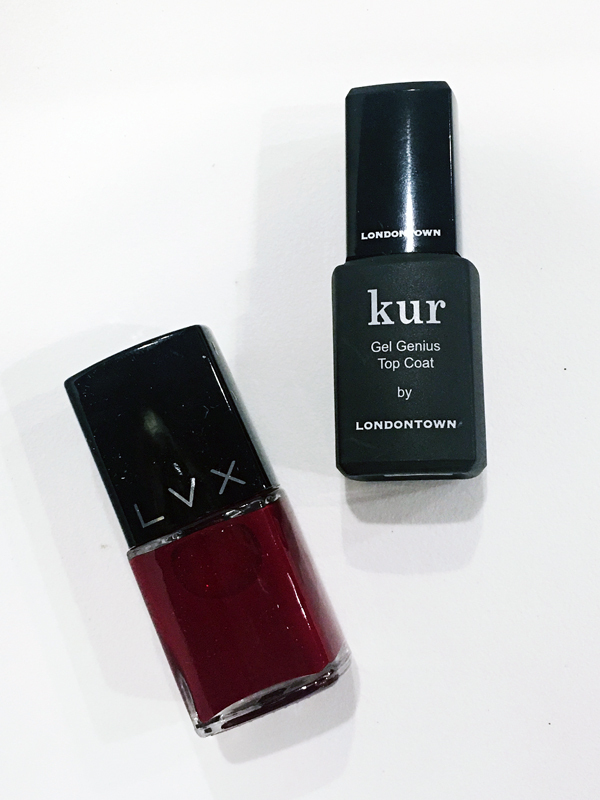 kur Gel Genius Top Coat by LONDONTOWN – For those of you who love the gel finish but hate the harsh chemicals and effects of gel polish, LONDONTOWN has a solution: Gel Genius Top Coat. The gel-like top coat delivers an ultra-glossy finish that extends the life and shine of any polish without gel damage. No UV lights! No Soaks! Just results! 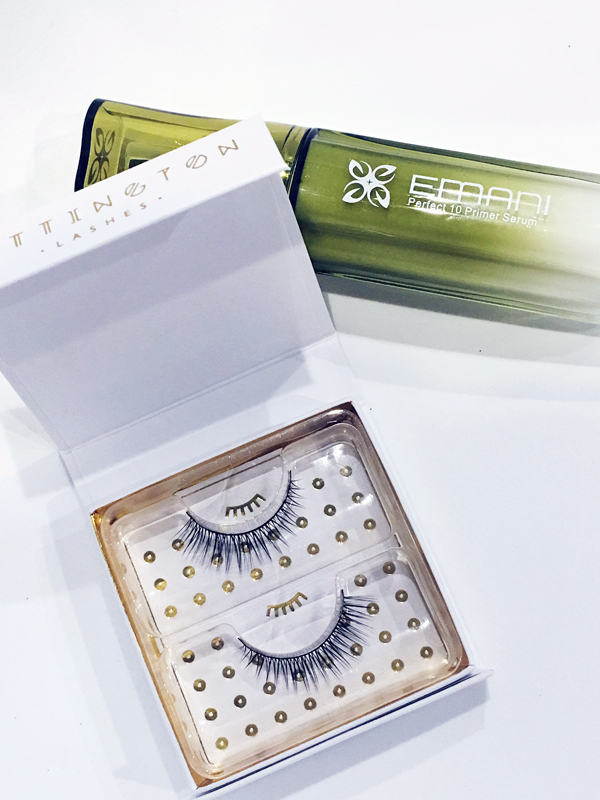 Battington Lashes – Expect to see this brand EVERYWHERE soon. Most lashes today are either synthetic, blunt cut human hair or worse, mink. While mink lashes are all the craze in the industry because of their similarities to the human eyelash, there is a huge set back. It’s inhumane. Battington’s lineup of lashes are 100% handmade silk, that provide the most natural looking lashes in the market, all while lasting longer then any other lash (up to 25 applications). Emani Perfect 10 Primer Serum – Infused with 10 (yes, TEN) organic nutrients, Perfect 10 is designed for daily use with or without makeup in order to minimize the appearance of pores and create a luminous radiance. The primer serum is 100% vegan, gluten-free and cruelty-free and doesn’t include any silicone, which can clog your pores.